Baile de palabra has already been living in me for a long time: in my body and in my mind. But some other projects have been passing in its path and, this way, circumstances have forced that it was not until now that I started paying it all the attention that I thought it deserved. And I say that it had spent a long time inside of me because, as a luggage for experience, it has been travelling with me in order to grow up – in the everyday activities of my artistic works and my personal development- in the expression of the only thing that I have ever needed and wanted to do until this moment: dancing, dancing flamenco in the company of good musicians who could understand me, with whom I could meet and ‘dance the word’. 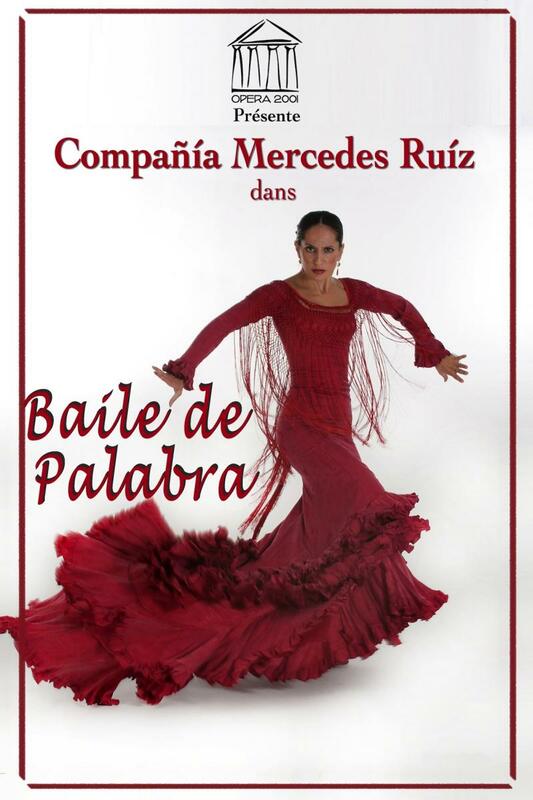 Experiences preceding this Baile de palabra have made my forms and manners of understanding the flamenco art develop, expressing more with less. That is why I resort here to the most basic presence in flamenco singing and flamenco guitar playing to dance flamenco the way I feel it, getting into its essence from sensations and emotions shared by music and words. As in preceding shows, I will inquire in new styles in my path: this is also a need in me: the need of creating new choreographies in the search for alive and unknown sensations that appear as a challenge for me and that allows me to keep growing and opening new questions to my future development. To prevent anybody from deluding himself, to avoid confusions, I say from this moment to whoever wants to approach and watch my new show that he is going to watch a very personal flamenco show, made in a very modern way but respective with the tradition, always searching for new registers. In this chamber show, this is everything that I want to find and show to all of you: my real dancing, my ‘dance of word’.